Home / Black Friday Deals 2018 / Black Friday Ads 2018 / The Best Macy’s Black Friday Deals 2018 – LIVE ONLINE NOW! The Best Macy’s Black Friday Deals 2018 – LIVE ONLINE NOW! The Macy’s Black Friday Ad 2018 is now Available + I have the Macy’s Black Friday Ad Scans 2018 for you to preview all the deals happening this year! The Macy’s Black Friday Deals are LIVE ONLINE NOW!!! You can Click Here to Shop all of the Macy’s Black Friday Deals! Here are a few of my favorite Macy’s Black Friday Deals – Remember there are HUNDREDS of Items in this ad, I couldn’t possibly list everything so make sure you Shop the Deals Online before they sell out! Bella Electric Skillet- 12″ – $7.99 after Rebate! Doorbuster – Thursday 11/22, 5pm – 2am, Friday 6am – 1pm. Black & Decker 12 Cup Coffee Maker – $7.99 after Rebate! 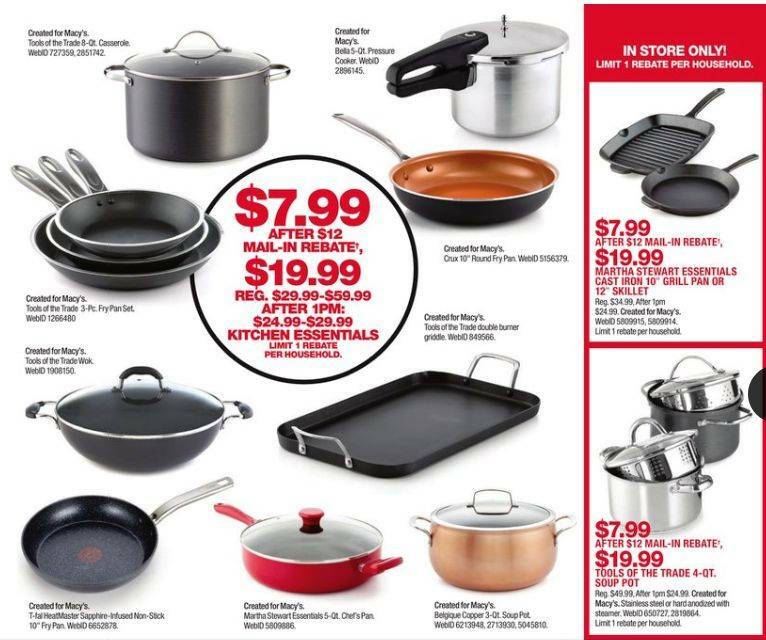 Small Kitchen Appliances – $7.99 after Rebate! Includes: 5 Qt. Slow Cooker, Rice Cooker, Hand Blender, Diffuser, 1.2 Qt. 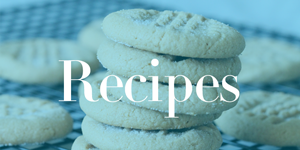 Air Fryer, Cuisinart Hand Mixer, Waffle Maker and More! Martha Steward Essentials Cast Iron Grill Pan or Skillet – $7.99 after Rebate! Tools of the Trade 4 Qt. Soup Pot with Steamer – $7.99 after Rebate! 25% Off Regular Price of $170! Free Shipping on Beauty when you order online! There is a nice $10/$25 Purchase Coupon good on Clearance Apparel & Home Items included in the Black Friday Ad this year! There are 12 FREE after Rebate Offers on the Front of the Macy’s Black Friday Ad! You can get a FREE Crockpot, FREE Pillows, FREE Rugs and more! All Free after Rebate Items are available In-Stores Only!!! Bella Slowcooker- 1.5 Qt. – FREE after Rebate! Lauren, Ralph Lauren Logo Pillow – FREE after Rebate! Glassware Sets – FREE after Rebate! Mohawk Bath Rug – FREE after Rebate! Select Totes and Bags – FREE after Rebate! Fashion Watches – FREE after Rebate! Young Men’s Graphic Tees – FREE after Rebate! Mickey or Minnie Plush Toy – FREE after Rebate! Thermal Henley Men’s Tee – FREE after Rebate! Gold Toe Slippers – FREE after Rebate! Cultured Freshwater Pearl Studs – FREE after Rebate! Goiorgio Glam Perfume – FREE after Rebate! Macy’s will open at 5pm on Thursday November 22nd. Doorbuster Sales run from 5pm Thursday 11/22 – 2am Friday, then again from 6am – 1pm on Friday 11/23 and 8am – 1pm on Saturday 11/24. We have all of the Macy’s Black Friday Ad Scans for you to preview this year. Check out the ad scans to see all of the deals available, there are over 50 pages of deals to flip through! clean — the Gran Dama Avant, for instance, characteristics a clean button that automatically performs a clean cycle on the milk tank and removes unwanted residue. Bass Pro Shops Black Friday Ad 2018 | 5 Day Sale Starts TODAY! Sears Black Friday Ad 2018 | Doorbusters Live Online NOW!